Ramoth House is a program operated by Ramoth Life Centre. Ramoth Life Centre is a non profit, inter-denominational agency based in Mount Forest, Ontario dedicated to providing practical support and encouragement to young women. 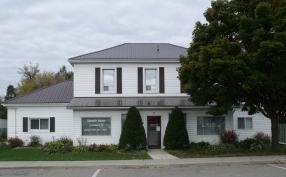 Ramoth Life Centre was founded by former Grey County C.A.S. foster parents, Terry and Brenda Tubman. As a result of caring for infants and young children traumatized by abuse and neglect, the Tubman's were motivated to create a safe haven for pregnant and parenting young women. With the support of a team of individuals from surrounding communities, the Tubman's established a charitable organization known as Ramoth Life Centre. Ramoth House is a cooperative living residence serving young women who are pregnant or parenting a child under one year of age. Young women are welcome to enter the program at any stage in their pregnancy or after the birth of their child. If you are pregnant or have a new born infant and need a safe place to live and learn then Ramoth House can help you. If you need to learn about parenting while planning for your future, Ramoth House can provide a safe and supportive environment for you and your baby. Our service is unique because we offer the option of long term accommodation as well as twenty-four hour support to our clients. Ramoth House's ability to offer long term stays allows for more intensive training of the life skills necessary for a successful transition to independent living. Our Mission Statment is To provide a safe and supportive environment for young women and their infants; To provide programming that will aid young women in developing the life skills required to end the cycle of hurt and poverty & To support young women, during their pregnancy and following birth, through encouragement and practical support.